Publisher: MuseItYA a division of MuseItUp Publishing. Alice’s parents refuse to let her have a dog, so when Alice sees a paint stain on the sidewalk that looks like a dog, she decides that she will make him a virtual pet. She calls him Splotch and downloads a picture of him to her computer. To her surprise, he escapes from the computer and begins to act as Alice’s self-appointed protector. Unfortunately, he sees most people as potential enemies of Alice, including her teacher and the school principal, and he is not shy about giving those various enemies a bite. When Splotch starts to attack Alice’s best friend, Alice knows there is a big problem. But how will she get Splotch to stop being a guard dog and go back into the computer? 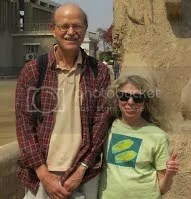 Anne Rothman-Hicks is a graduate of Bryn Mawr College where, in 1969, at a college dance, she met a student from Haverford named Kenneth Hicks. They have been together pretty much ever since, getting married, having children, writing books, making art, and generally conspiring to live lives that are happy, creative, and good. Anne and Ken’s most recent novels and stories are set in New York City, where they have lived for most of their married lives. 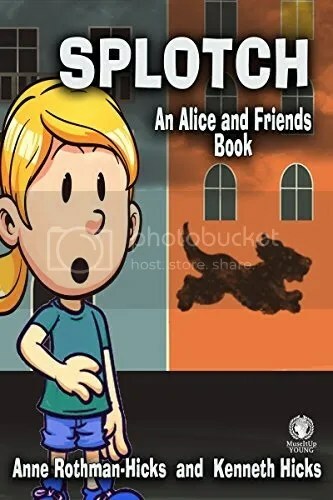 Their middle reader series, Alice and Friends, features Alice, a 10-year-old girl with a vivid imagination that gets her into and out of trouble. The titles are, STONE FACES, BROWNSTONE FACES, and SPLOTCH. In Ken and Anne’s tween book, THINGS ARE NOT WHAT THEY SEEM, Jennifer and James find a pigeon in Central Park whose foot was caught in a bit of string attached to a fence. Only this pigeon was actually a man before he was turned into a pigeon over a hundred years earlier. Now he needs some help to be turned back into a man before a certain hawk captures and eats him instead. 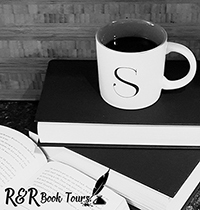 A sequel, REMEMBERING THOMAS, has been published by MuseItUp Publishing in March of 2018. Alice wants a dog but her mother refuses saying that between Alice in school and her working all day the poor dog would be locked inside all day. But Alice really wants a dog to help protect her from those that picked on her during school last year. On the way home, Alice and her friend Hannah find a pain spot on the sidewalk that looks just like a dog. Alice gets the idea to take a picture of it and post it online to try to get her friends to like it and convince her parents to let her get a dog. But when she tries to upload the picture it disappears. When Hannah and her are on their way to the first day of school they find the paint spot has moved to a wall and is now barking and moving. It seems Alice may just have gotten her wish. Splotch does a good job of protecting her but then starts to keep Hannah away from her. Alice is going to have to do something about Splotch. This is a wonderful story. I felt for Alice but I also understood why her mother didn’t want a dog. Of course high jinks ensue as Splotch goes a little over board when protecting her. I love how Alice had to make a tough decision but make’s the best of it in the end. If you have kids, especially those that want a pet, I think that they would enjoy this story. I would like to thank Reading Addiction Virtual Book Tours for the opportunity to read and share this book.